The Lung Meridian Just watching the powerful surge of energy a horse can summon, the thundering gallop – those huge flared nostrils, the heaving with ease their enormous weight over hurdles gives us some idea of how essential a good set of optimized lungs is to performance and survival. Think of it – air and water are two of the most, if not THE most important aspects of good sound health. When we’ve been distressed its commonplace for someone to say, “breathe” and we all know that a deeply drawn breath always seems to offer relief from excessive stress. Women and animals alike, when in labor pant to strengthen their contractions as well as maximize their pain threshold. The practitioners of martial arts also use the control of the breath to deliver one chop of the hand or kick of the foot to bust through layers of boards & bricks that are otherwise impervious to a single blow. Breath is pure energy; clear and unhampered airways give access to that energizing power so that the lungs can be filled to capacity on the inhalation and emptied to the maximum on exhalation. Humans and horses can sometimes suffer obstructed and constricted air passages that can and will diminish the breathing capacity and compromise performance. The lung meridian has a defined pathway. It was defined by nature. The stimulation of this meridian restores the natural flow of energy. To the Chinese, this flow of bodily energy is known as Qi and is pronounced “chee”. 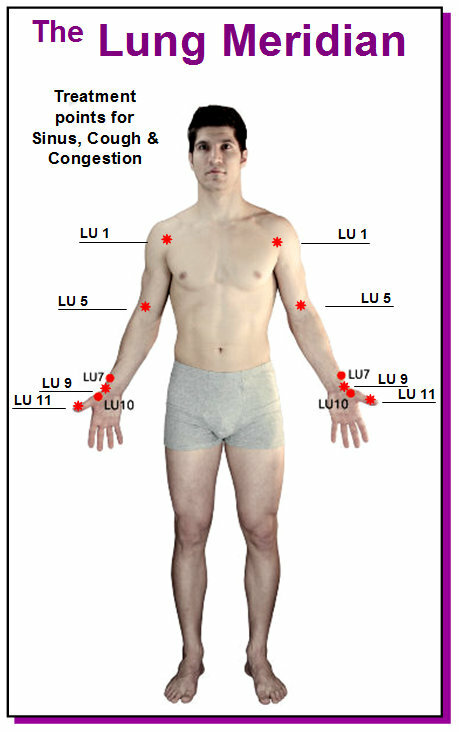 The use of acupuncture & acupressure to alleviate many ailments is becoming more common in the Western world. The channels and points are common to both man and animal. An exciting discovery is the effectiveness of focused light waves on stimulating Qi movement in the body. Light therapy is a less invasive practice of applying ‘light’ by way of a small hand-held LED. This light is applied to the surface of the skin or hide and assists the opening of the blocked meridians. It encourages the flow of energy to the impaired organ or wound for the purposes of healing. 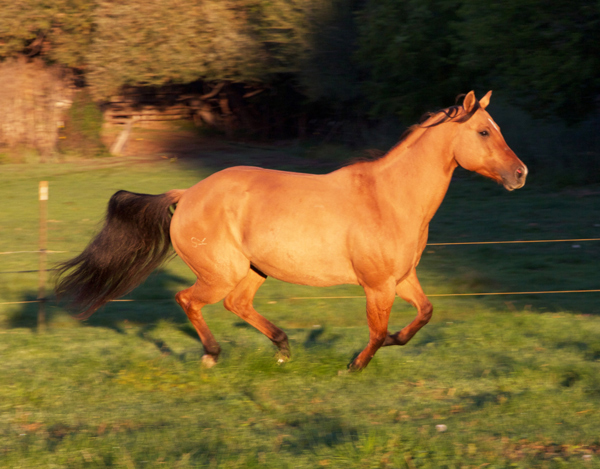 Those studied in the treatment of canine, equine or human healing arts are first to say that they all share commonalities so that learning to treat one simplifies learning to treat them all. It’s a matter of diagnosing the problem, locating the meridian and applying the lights to the key points for the right amount of time. The practitioners of Photonic Healing, LLC., use the AAH Light to help their patients, whether they are human, horse, or other pet. This small, affordable device has three power settings to effectively stimulate all your needs with one light. While most of our healing is done using the red light, we also offer a blue light which is effective at address immediate trauma, inflamation, contusions and sprains. It’s uses an anti-baterial wave length that stops infection and penetrates deep into the tissue. Light therapy is a Natural Way to promote healing and control pain.